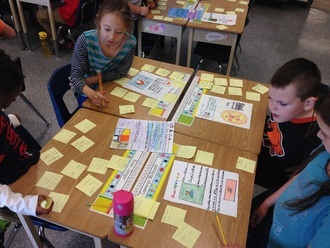 As the technology coach at West Langley Elementary, I have placed a large emphasis on documenting students' thinking and learning throughout the year in order to build a digital portfolio of work reflective of each individual. 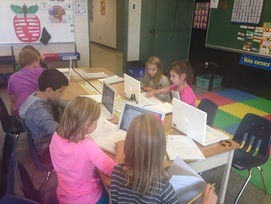 Working with classrooms on student blogging has become a priority in order to teach appropriate digital citizenship practices, how and what to share about our learning, and managing our digital footprint as we increase interactions with local and global connections. As a result of this work with students and teachers, we now have 4 classrooms blogging full-time within our school, and you can find links to these blogs on the sidebars below. One of the most important factors of introducing blogging to students is to make sure that you have a selection of strong models before you begin. I always show students the fact that I maintain my own professional learning blog and then I usually will show them a few other classrooms that blog as well toprovide a better context and understanding for them. For teachers who want to do this and are looking to begin their own professional blog and don't know where to begin, I will point them to my post on how to begin: "Blogging With Intention: What To Consider When Starting An Educational Blog". Below is a sample of the pre-blogging scaffolding that I use to connect students' classroom experiences with beginning to publish work online. This introduction to student blogging is based on Pernille Ripp's "Paper Blogs: A Lesson in Commenting on Student Blogs", which was published in September 2013.